I haven't kept it a secret, that we're big fans of coffee. 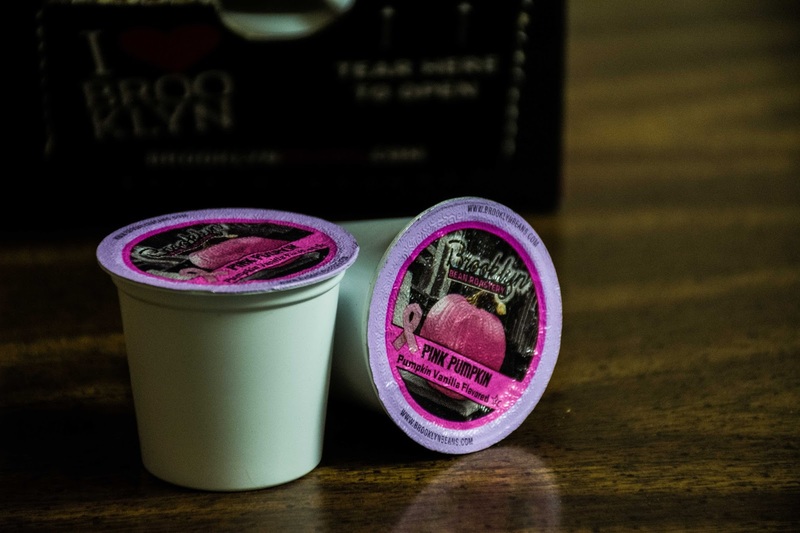 We love trying different types, and most recently, we were thrilled with the opportunity to try a fun, seasonal flavor, from Brooklyn Bean Roastery. Now, I've tried Brooklyn Bean Roastery coffee flavors before, and I've never been disappointed. The Pink Pumpkin, which features a vanilla pumpkin flavor, was no exception. I received a nice big box, to try out, which will definitely be helping to get me and my family through the fall season. What I loved most about this coffee, is that I usually am NOT a huge fan of pumpkin flavors, because I feel like a lot of companies over-do it, and really just make the pumpkin flavor too strong - But Brooklyn Bean Roastery has it just right. The pumpkin flavor is noticeable, but is not overwhelming, and the vanilla really gives it the perfect added sweetness, which is really important to me in a coffee. 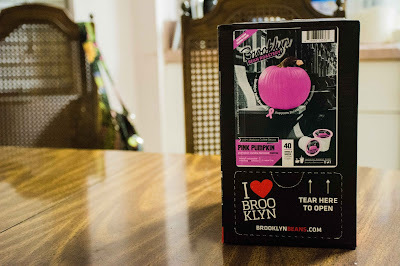 Now, the Pink Pumpkin is delicious, and I love that. But the thing I love most about this coffee, is that, as you may have noticed, it features a pink ribbon. 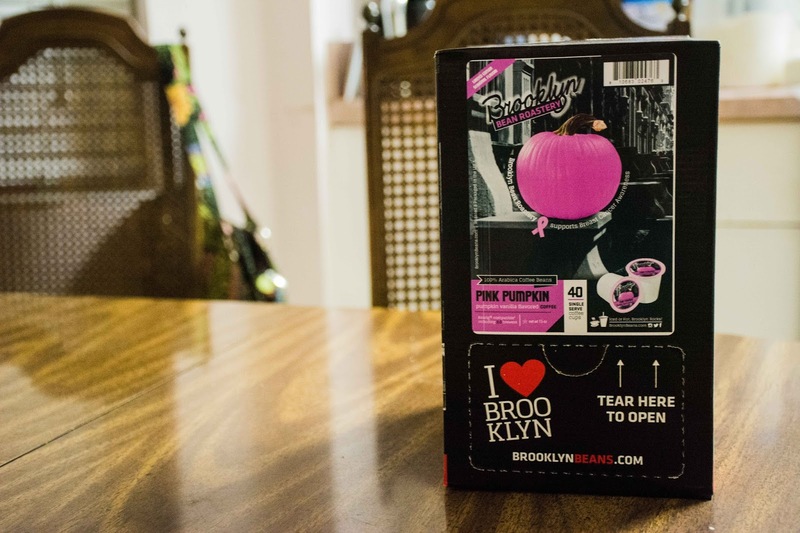 So every purchase of this coffee, sends proceeds toward breast cancer awareness. I have several people who I am very close to, that are breast cancer survivors, and breast cancer awareness is something I am very passionate about supporting. So the fact that this coffee helps support such a great cause, is extremely important to me, and is such a great, added benefit, of purchasing this coffee. Overall, I have been extremely pleased with the Pink Pumpkin flavor - I find it to be perfect for fall, and would definitely recommend giving it a try! This coffee is available at a great price of only $22.80, for 40 cups, on Amazon. I love the idea of adding vanilla to the pumpkin flavor so that the coffee flavor is just right. I love pumpkin flavored coffee. I wish I would have read this post last fall.